known for his works: "Flavor of Love," song "Can't Do Nothin for You, Man!" and more! Note: YOU gNeek neither states nor implies that any of these celebrities endorse our products. 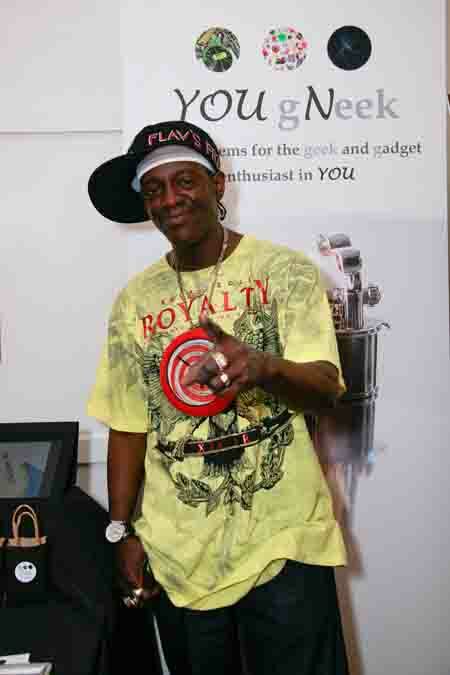 We sincerely thank Flava Flav for poseing with our banner! We haven't heard back from you about where to send your level necklaces!